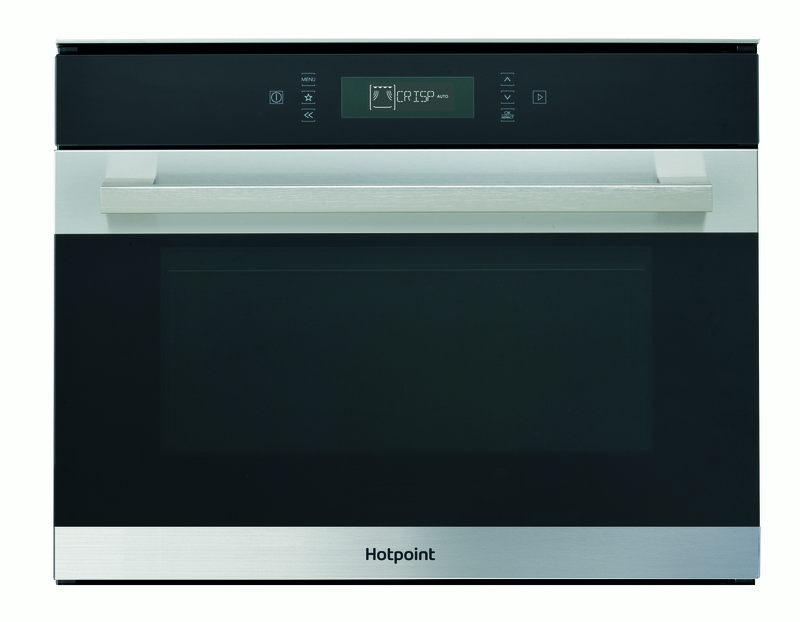 Eye catching and packed with intuitive options for your cooking exploits, the Hotpoint Built-In Microwave (MP 776 1HX) combines 40L cooking capacity with 900W of power and 5 automatic programs. Featuring Multiwave Technology for an absolutely even cooking experience, this system uses two entry points for the microwaves to meet your food, uniformly filling the cavity to ensure every aspect of your dish is thoroughly heated or defrosted. 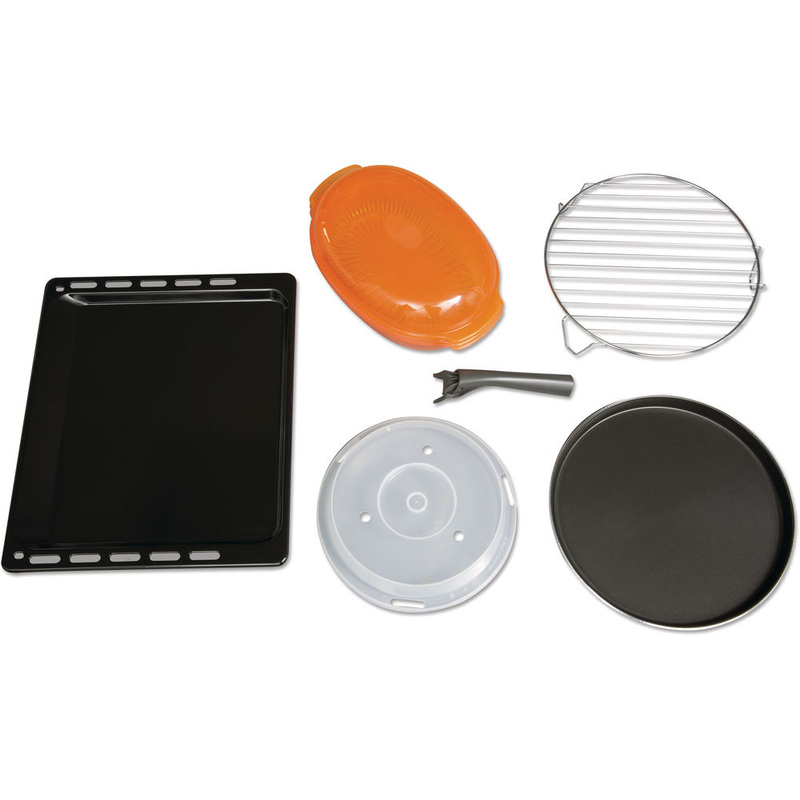 Combining aspects of a microwave, oven and grill, create a variety of meat, fish and veg dishes all to mouth-watering high standards. For fans of crispy-based pizzas, tarts and quiches, the Dynamic Crisp function with dedicated crisp plate ensures flaky pastry, snap-crunch bases with succulent toppings and fillings. Or, for a virtuous approach to mealtime, this model also comes with an integrated Steam function which boils the water immediately and keeps it on a roll to deliver healthy, flavoursome meals in super-quick time. 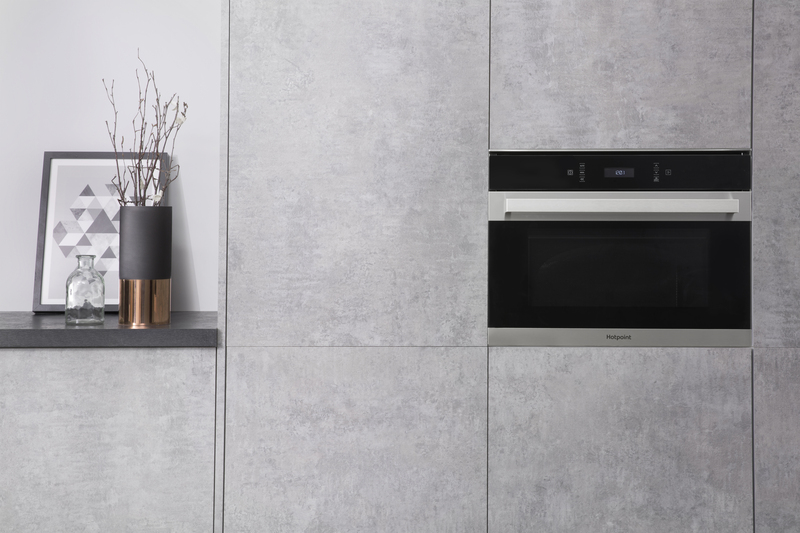 A sleek design complemented by an easy-to-use Touch Control Interface makes the Hotpoint Built-In Microwave a pleasure to cook with and an attractive addition which integrates easily into every décor.